Does Everyone Need To Use A Moisturizer? That’s the mantra. But, we know it’s wrong. I mean, a toner may be nice-to-have but it’s by no means a must-have. A moisturizer is simply a product designed to, well… moisturize skin. It does this by increasing its moisture levels and repairing its natural protective barrier, which, when damaged, lets water evaporate. But, what you may not know is that skin already has its own natural moisturizer. It’s called sebum. Yep, that thing you hate because it can turn your face into a shiny and bubbly frying pan. That happens when skin produces too much of it. Too little of it, on the other hand, dries out skin. But, when your skin makes just the amount it needs, it’s able to perfectly moisturize itself on its own. Does that make a moisturizer useless? So, who doesn’t need it? Your skin is already producing all the sebum it needs. Not a bit more. Not a bit less. You can still use a moisturizer, especially one that’s loaded with antioxidants if you want to, but you don’t have to. Your skin already produces too much oil. The last thing you need is more. That’s why traditional moisturizers don’t work for you. But, sometimes, your skin can be dehydrated. Yep, dehyadrated and oily. When that happens, an oil-free moisturizer can help. Just listen to what your skin, not marketing “wisdom”, is telling you. Everyone else, pile on your moisturizer! Oh, And Don’t Confuse Moisturizers With Anti-Aging Products! If you want to use a moisturizer anyway because you think you can help with aging, think again. I mean, the best moisturizers out there do. There are plenty that contain antioxidants, retinol, glycolic acid, and everything else skin needs to keep wrinkles away. But, plenty more don’t. They are just basic formulas that promise you to turn the clock back 20 years and then just provide a bit of additional moisture. That’s it. Personally, I prefer the second option. Serums contain higher concentrations of antioxidants and have lighter textures that can more easily penetrate skin, so they work better and faster. Makes more sense to invest in one of those, don’t you think? Need help picking the perfect moisturizer for your skin type? Download my short ebook "The Smart Girl's Guide To Moisturizers" for my best picks and recommendations. Success! Check your email to confirm your subscription and receive "The Smart Girl's Guide To Moisturizers". 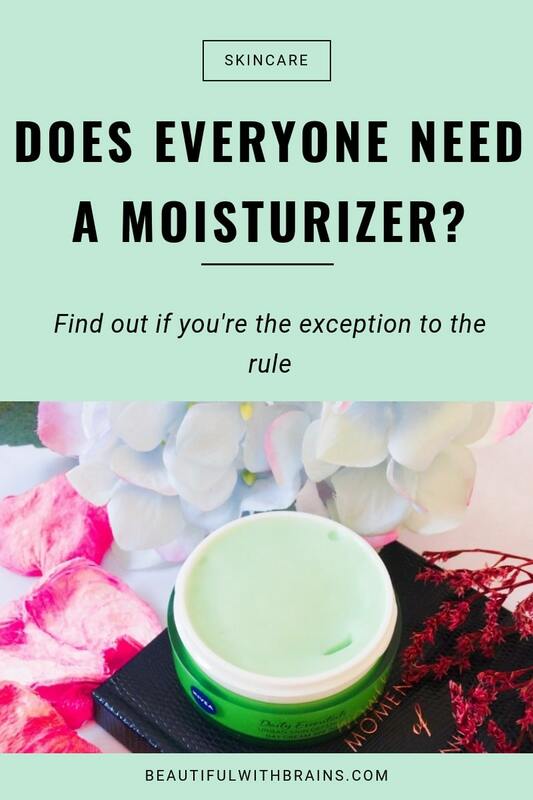 As moisturizers are designed to improve skin’s moisture levels, you only need one when your skin isn’t able to naturally moisturize itself well. If it can, skip the moisturizer and opt for an antioxidants-rich serum instead. Do you think everyone needs a moisturiser? Share your thoughts in the comments below. I’ve always used an SPF moisturizer when I was younger for environmental protection! i have always used a moisturizer, despite having oily skin. I noticed that if I don’t use it, my skin goes into an even oilier state sometimes, or it just doesn’t feel right. I think the key to people with oily skin in using a moisturizer is to make sure it’s oil free, so it doesn’t get worst. Most of the blogs/ reviews I read (from Taiwan, Japan and Korea) has always said that having oily skin doesn’t mean your skin is well hydrated. They say our skin produce even more sebum to compensate the lacking of moisture in our skin. Not sure how true this is though, but I believe there is some truth in it. Haha. By the way, was wondering like those moisturizers which are to be of the anti aging range like olay/ neutrogena or other brands, does it mean it’s still not sufficient for the anti aging ingredients for it to work, and it would be better off to use a anti aging serum instead? Sorry for the long post, but I had to ask 😛 I hope you don’t mind. I think, at the end of the day, everyone’s skin is different and we need to use the products that best suits our needs. If your oily skin needs a moisturizer, by all means use it. And I definitely agree that if you have oily skin and want to use a moisturizer, you need to choose an oil-free one not to make things worse. As for antiaging moisturizers and serums, they are both effective as long as they contain high enough concentrations of antioxidants and retinoids. I just think that serums are better suited to those with oily skin though because they have a lighter texture. I have comb/oily skin and acne prone skin. Moisturizers (even the ones from the pharmacy formulated for acne skin) give me bad acne! SPF moisturizers are like a film of grease on my face (I really don’t like them). I just don’t get it when people complain that sunscreen makes them breakout and wear moisturizer everyday all over their face. Moisturizer breaks me out and I as long I use a pharmacy brand face sunscreen for oily/comb skin and remove it in the end of day, I don’t have big problems. I only use a facial moisturiser where I need it and it’s rare that I put any on my forehead as it stays oily throughout the day and I know this because I’m always blotting it with oil blotters. Do you really mean that only those with combination or dry skin need applying moisturizer? I can’t really believe it, because all of my friends use moisturizer no matter their skin type. You are REALLY blessed if you don’t need a dollop of moisturizer. Which I find to be a rare case. Amanda, by moisturizer I mean a product whose purpose is to add moisture/water to the skin. That’s something that not all skin types need as skin already has its own natural moisturizer. Most women use it anyway just because we are taught we have to cleanse, tone and moisturize but the truth is that not everyone needs the last step. Some moisturizers though do contain antioxidants or SPF and these can be used by all skin types as they help fight wrinkles and premature aging, which is something everyone needs. Even though I have oily skin I like to use a moisturiser, because my skin gets dehydrated even though it’s oily on top, if that makes sense. It gets tight and dry feeling when its cold, so I like to use a really little bit of organic rosehip oil or something similar – I find that since that’s quite close to the skin’s oils, it regulates my skin really well. I find mattifying moisturisers okay for the first few hours, but then my skin tries to compensate for the oil loss by producing even MORE oil. Alexz, if your skin feels tight and dry, then it definitely needs a moisturizer. I’m glad you found something that works well for you. I have tried mattifying moisturizers on my oily t-zone but they didn’t work that well for me either..
Stavroula, I think it depends on the person and the cleanser they use. Some people may not need a moisturizer after cleansing, while others may find their skin dry afterwards in which case they need one. And I agree with you that it has to be a light one such as a gel. so true! for years I have used nothing but a hydraulic acid toner for my post-cleasing skincare while occasionally using a moisturizer when it’s dry (esp in Europe). In Asia (where I used to live), the high humidity explains why moisturizer is not always necessary, however, many women still buy into the marketing BS concocted by the cosmetics companies. Sugar, I agree. We’re so used to being told that moisturizer is always necessary that very often we don’t question it and keep using it even when it’s not needed. Instead, we should just listen to our skin and use only the products it really needs. 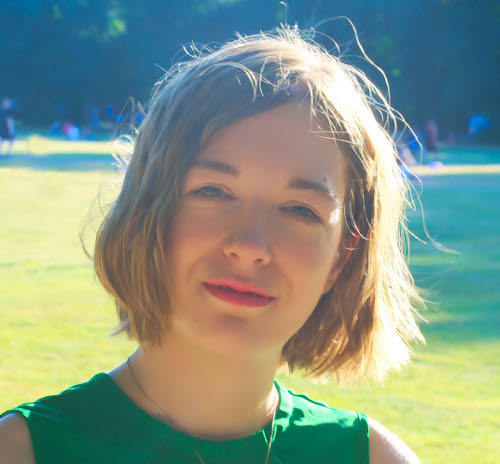 my skin was dehydrated or not…Do you write about it? If yes, can you link it here? I guess I could do the skincare differently everyday and just blotting my skin to see which is right for me. Do you think that’ll work? I have very dry skin so I need moisturizer all year. I also live in Canada and the winters are very drying. I think most people living here require moisturizer in the winter. Kim, I agree. When the climate’s that harsh, almost everyone needs a moisturiser.